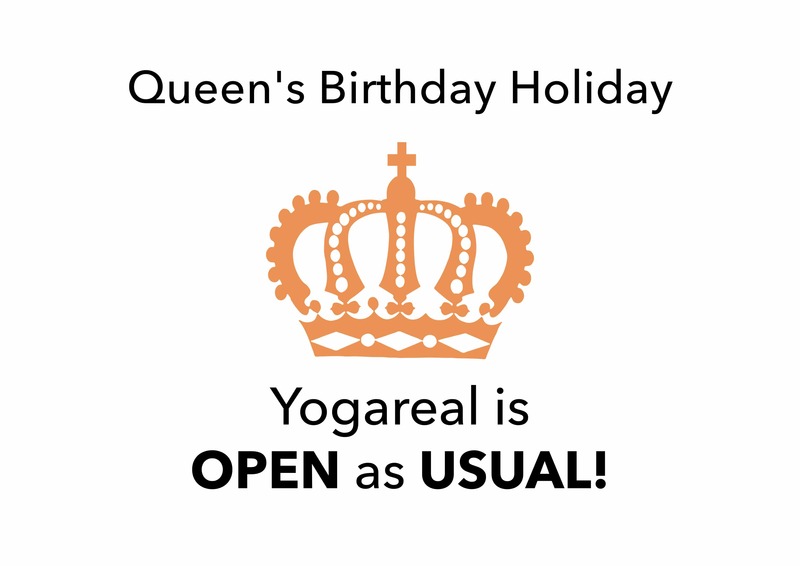 We’re OPEN Queen’s Birthday Holiday! Join us for a class on Monday 11th June! 7:00pm – 8:30pm Beginners Yoga Course (Robert). 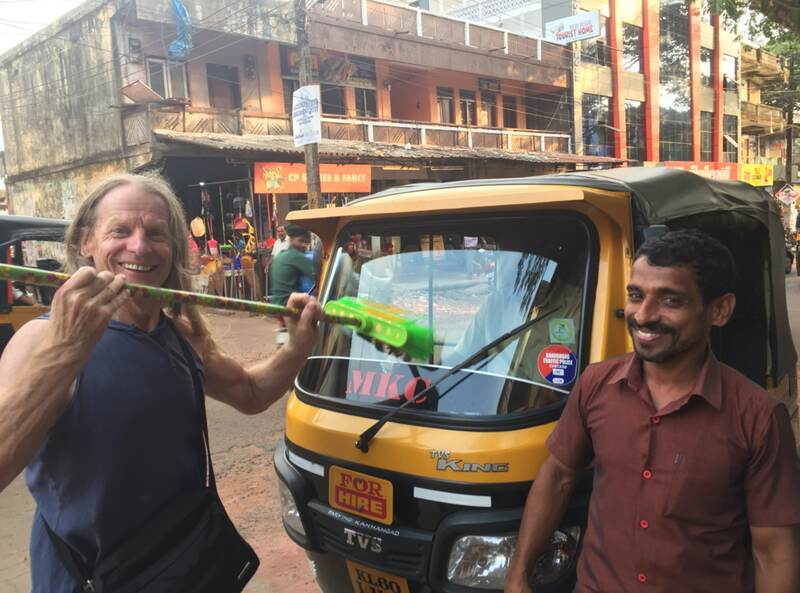 All the different vehicles/levels/layers of yourself need to be cleaned, polished and aligned so that you can function properly and be happy, healthy, vital and peaceful. Then your heart’s open and you’re joyous, and you’re having a ball, whatever you do! This process is really known as Raja Yoga – King/Royal Yoga, Complete Yoga. Your energy flows to your crown centre and you see life from that ultimate point of view, and live life from that space! Everyone around you, then feels your Shakti or energy of love and fullness, and they want to join in and be a part of it all. Click here for more information on New Courses and Book Online Today! Join us for class on ANZAC Day, Wednesday 25th April. Holistic Vinyasa Yoga, 6:10am – 7:45am (Bridgi) will not run. Have a wonderful Easter Break! Join us at Yogareal for the Holiday Season with the above program. We’ll be open as usual for all classes until we close the studio for the Christmas break on 22 Dec 2017 for 12 days. Then we’ll re-open on 3 Jan 2018 with an abbreviated timetable. 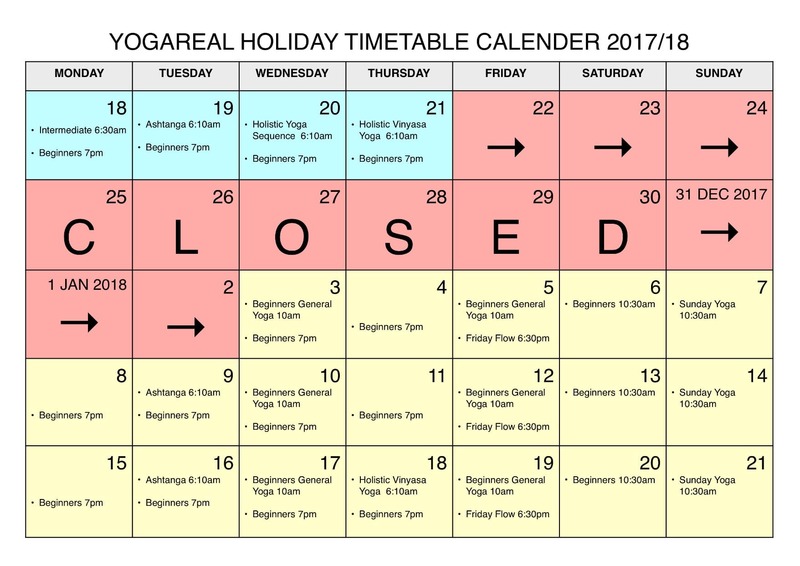 The full program will re-commence with the start of Courses on 22 Jan.
Look forward to seeing you at Yogareal ! Have a fabulous time from now through to the New Year – stay happy healthy and uplifted during this time of joy and peace. Join us for the YOGA CLASS THAT STOPS THE NATION. We’ll all have such a HORSEOME time! 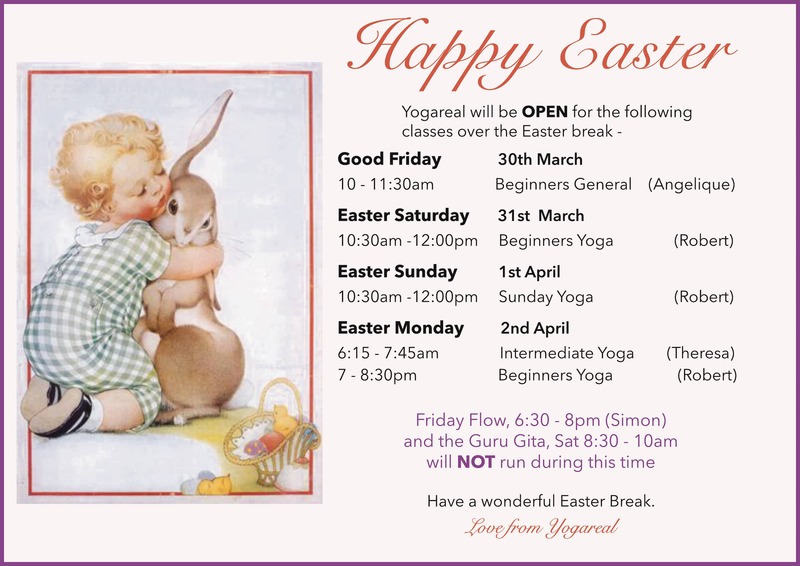 Come along to Yogareal and you’ll be full ‘o beans!! Birds are chirping and it’s Spring. The big elm at the front of the studio is fully “leafed up” (!!) looking glorious, and ready for summer action – are you???!! We’ve just started our final Courses for 2017 and it’s the perfect time to join us. We’re using simple props to gain the correct alignment and action in each person’s body, for their breath to then flow strongly and fluidly, and therefore create lift, lightness and upliftment which then comes naturally. AND… You’ll make lots of new friends – good people – happy, healthy and uplifted people. You’ll learn how to be happy and enjoy life. The tendency with adults is for their mind to become too serious and then the joy of life slips through their fingers. It’s been great to see quite a few students who we haven’t seen for a few years returning and pumped to back in the action at the studio. All expressing how they’ve missed the studio and how good it is to be back. The Chant last Term was fabulous – everyone exhilarated and buzzing! The next Chant will be on Saturday 3 March 2018 – Be there! It’s been wonderful having the year 7 students from Albert Park College back at Yogareal Studio, as part of their School program. It’s so important and wonderful at their age to have a strong connection with themselves and therefore have a strong sense of self-esteem and wellbeing. It’s great so many of them are embracing the practice and sharing it with their families at home. We look forward to seeing you all for the final countdown of 2017, before Santa comes with his bag of goodies. Join us for the FINAL COURSES OF 2017!! Join us TOMORROW for the CHANT! 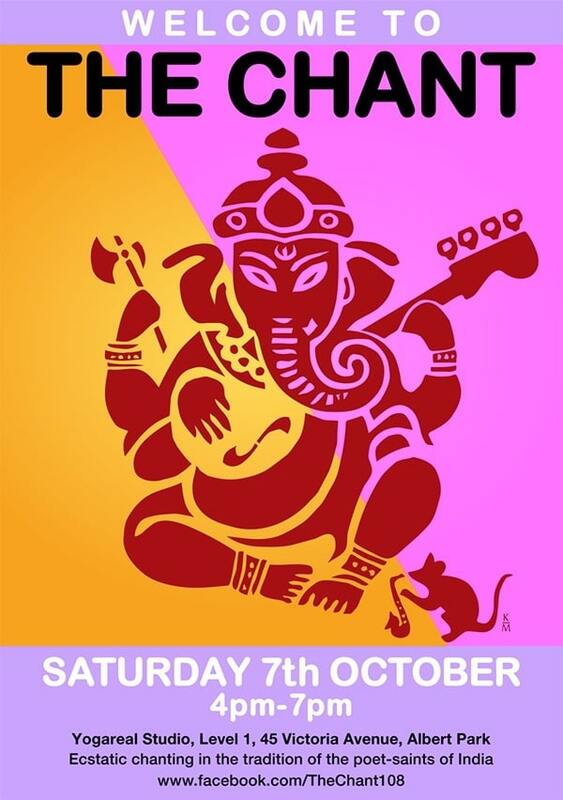 From 4-7pm, Saturday 7th October. At Yogareal Studio, with Live Musicians from Shanti Mandir. Arrive when you can and stay as long as you like. 10:30am Beginners Course (Rob) will run as usual. 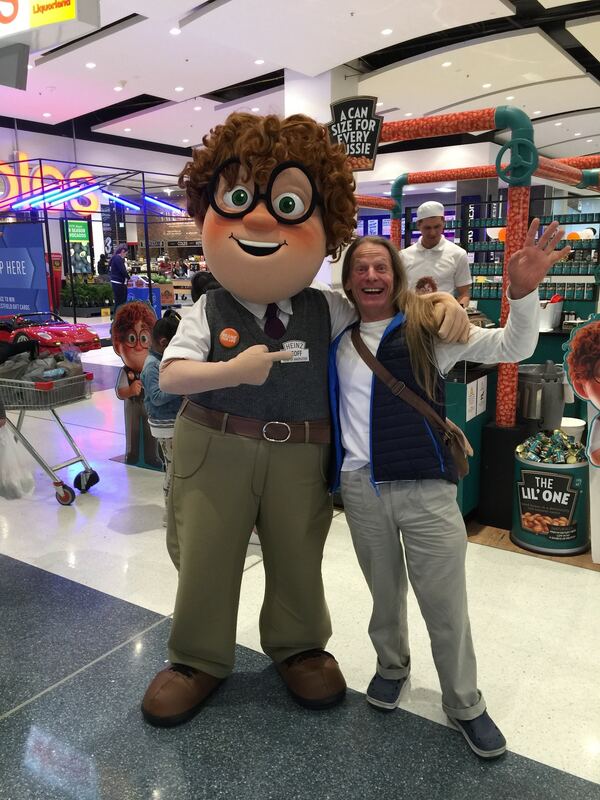 Grand Final Public Holiday and Weekend – We’re Open as Usual! More Shakti than the Grand Final, faster than a speeding Surya Namaskar! Able to leap tall buildings or obstacles in a single bounce! More powerful than 12 yogies pulling a locomotive! 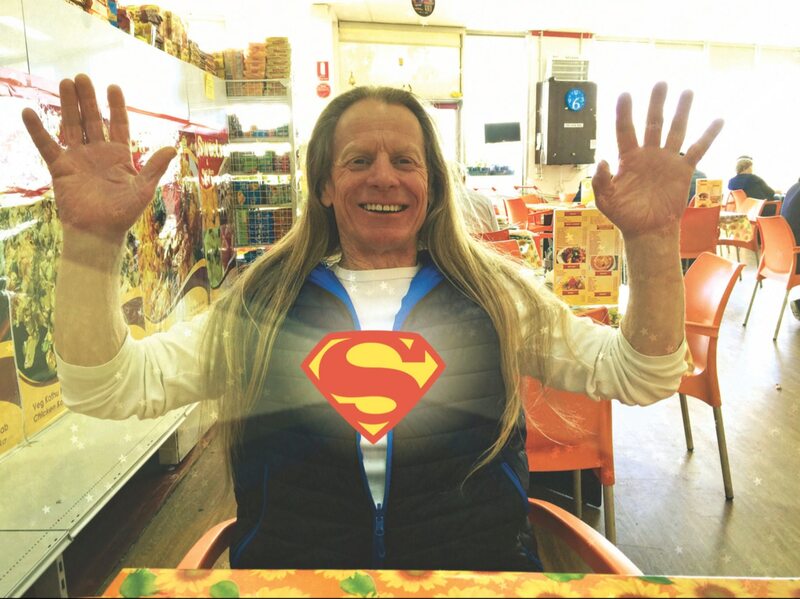 Awaken the Shakti – Experience your Super Yoginess!! We’re halfway through Term Five and it’s a fabulous time to be at the studio! 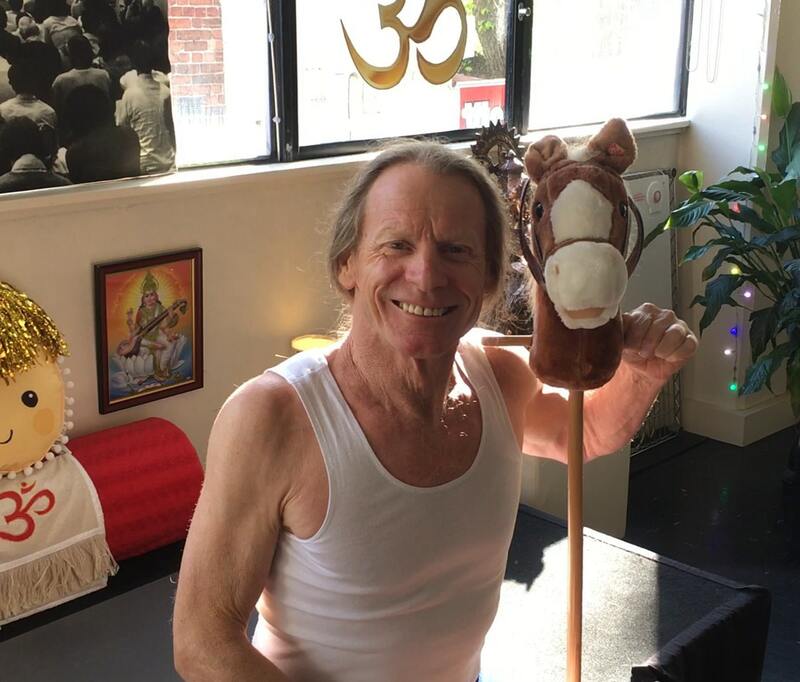 By extending the headstand workshop over 2 weeks, many students who had never been able to do headstand before, can now access this posture, and gain the tremendous benefits for health, wellbeing and consciousness that come through practicing it. This week we’ve been using specific props to stimulate the spine, lengthen the lower back and gain strong access and use of your breath. For anyone suffering from lower back pain, digestive issues, or other issues associated with a lack of energy moving through the pelvic area – these classes are a must. We’re OPEN as usual for Grand Final Friday – 29 September 2017. And join us for THE CHANT! 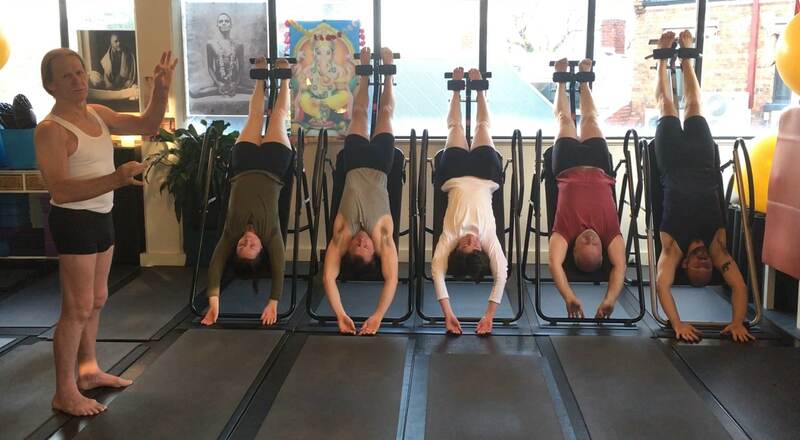 Working with the headstand machines to create the length and alignment and therefore to be able to draw a long strong breath to push and lift and then working with forearm balances at right angles against the wall to get the openings and shape. And then for those who are ready, continuing with forearm balance against the doors and then free standing. And for those who can do forearm balance easily … Scorpion!